Microsoft today announced the expansion of voice over telephony (VOIP) for Windows Phone 8, enabling the integration of Skype into the phone OS in addition to any other 3rd party VOIP applications. Come this fall users will be able to have Skype as well as any 3rd party VOIP clients fully integrated into the Windows Phone dialer and contacts, giving a near seamless user experience. Background tasks and notifications will be handled by the OS allowing VOIP apps to manage calls across cellular and data connections. 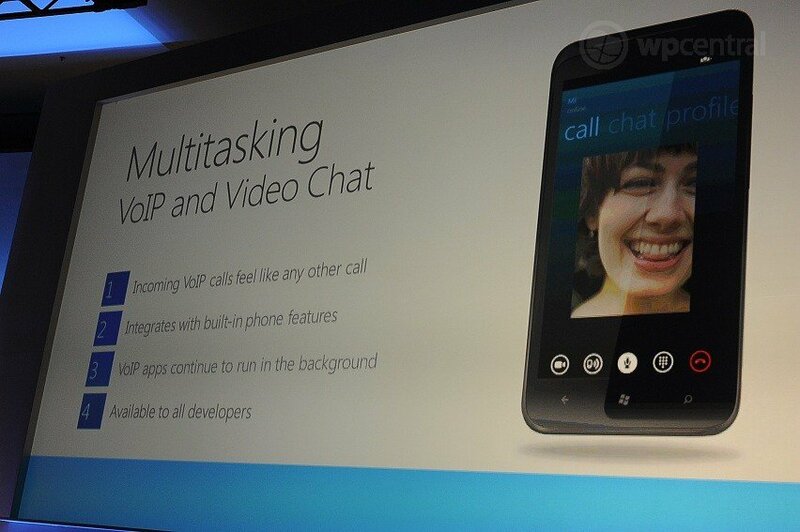 In addition, Bluetooth connectivity will also "just work" with Skype and other VOIP apps. Developers will appreciate the array of new APIs that allow them to “plug in” to the Windows Phone 8 VOIP system while maintaining application and system stability. The announcement comes on the heels of the Windows Phone 7 app update and should alleviate current user cmplaints about Skype's limitations on the platform, which we've detailed in the past.